CAN stands for Controller Area Network. 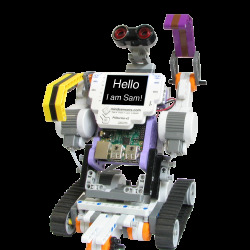 It is designed for communication between microcontrollers and devices. CAN includes hardware specifications for the physical network and software specifications for communication. All these topologies has advantages and disadvantages in its use. For example, advantage of in the Ring Topology with dual-ring networks is, if one of the communication wire becomes shorted or broken, all the modules or nodes can still communicate. But the downside is, this is a closed-architecture, making it difficult to add nodes later. In a Line/Bus Topology, all the nodes are connected in line with each other, with the master at on end and a terminator at the other. This kind of network is suitable for industrial application, such as assembly line plant, where the linear nature of the topology makes it easy to lay it down on the plant floor. This kind of network also is generally long, (40 meters for 1 MBPS network, 1000 meters for 50KBPS networks), there by requiring terminating resistors on both ends to ensure quality communication. (Termination Resistors are used to impede reflections on the line). Disadvantage of this topology is if any communication wire breaks in between (or comes loose), the communication of all the nodes after the fault point is lost. Also this network is difficult to add nodes later. In Star Topology, all the nodes are connected to a central hub. Master and the terminator is also connected to the same hub. This network is suitable for automotive or robotics applications. Advantage of this network is, accidental loss of any node would not hamper functioning of remaining network. Also it is lot easier to add or remove nodes as desired and improve the network. You can use this CAN Splitter as a Hub of your STAR network. Generally a Ring Topology is used where high reliability and fault tolerance is the highest priority (such as a Satellite). 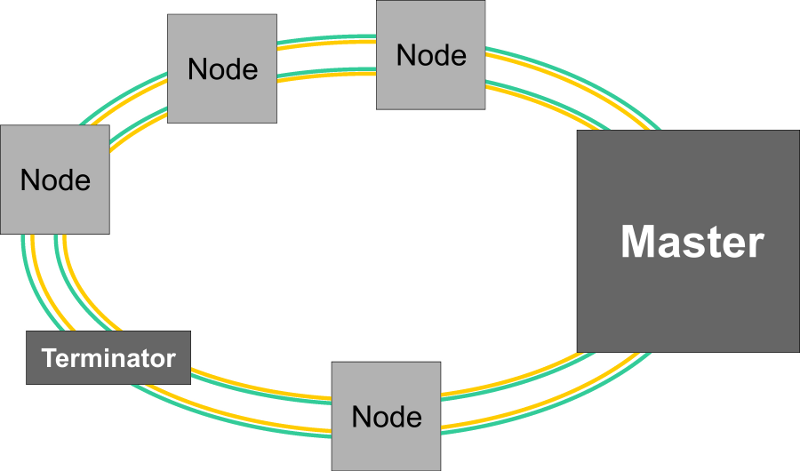 For Fault tolerance, the Ring Topology would be used with dual-ring configuration. (Each Node has two CAN connections in each direction). Such configuration however is difficult to alter later to add/remove nodes.